I decided to clear out my baking bucket list and tackle all the time-consuming desserts I’ve been itching to make. 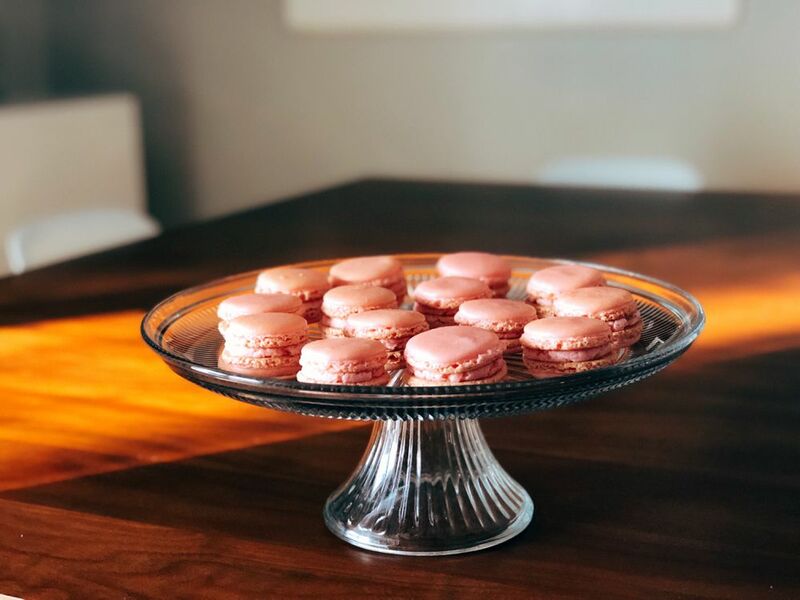 My first conquest: the French macaron. I settled on following along with a YouTube recipe as I wanted to see what each step looked like. It worked out pretty well, but I think I would try to be a little more adventurous the next time. It took me two tries to get the batter to the right consistency. The first time, I missed an ingredient and didn’t whip my eggs long enough so I had a liquidy batter. The second time around I achieved a batter that was a little thicker and produced beautiful feet. My oven runs hot, so I wish I had set the temperature a little lower and then allow for a longer baking time. I had trouble with the bottoms starting to brown. Otherwise, I think they came out pretty good for a first try!